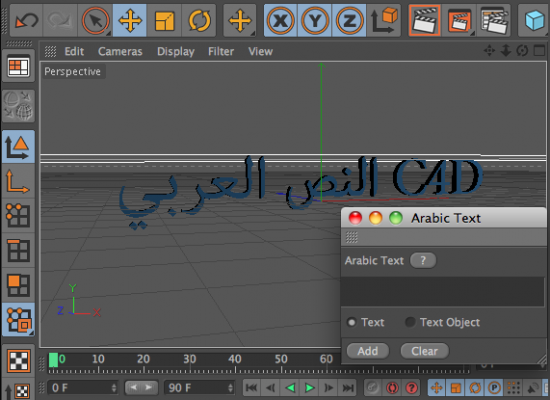 Entering Arabic and Farsi language text into Cinema 4D without assistance fails because Arabic flows right-to-left while English flows left-to-right. Simply reversing the text does not work because the letters don't link properly after they are reversed. This plugin deals correctly with medial letterforms and flows the text from right to left.